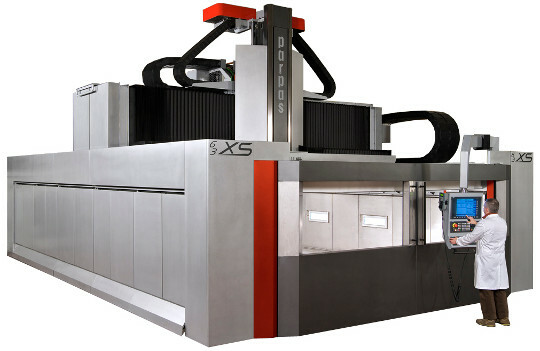 The XS is the line of medium/large size gantry machines. 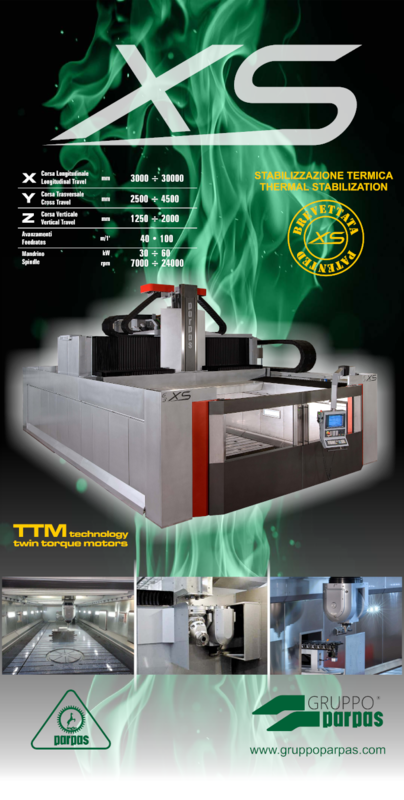 It is dedicated to 3 – 5 axis high speed machining as well as heavy duty machining on hard materials (steel, inconel, titanium, etc). The possibility to have automatic head changing system or as alternative, the automatic spindle cartridge change, allows the machines to be much flexible and suitable for complex machining both in moulds/dies industry and in aerospace industry.